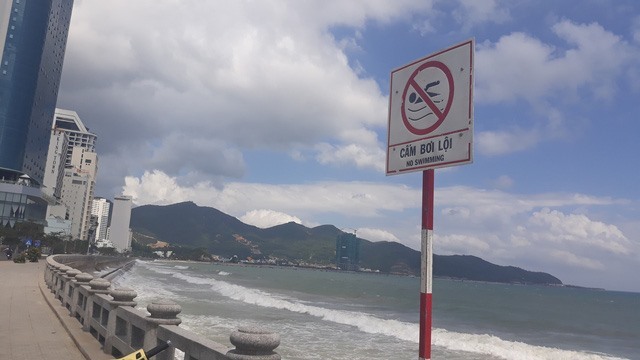 Two Russian tourists drowned at a Nha Trang beach on Tuesday, Tuổi Trẻ (Youth) newspaper reported. A sign reading "No swimming" is seen at the area. Local residents said this is a very dangerous area due to strong waves. Many people drown there every year. Local authorities are reportedly investigating the case.